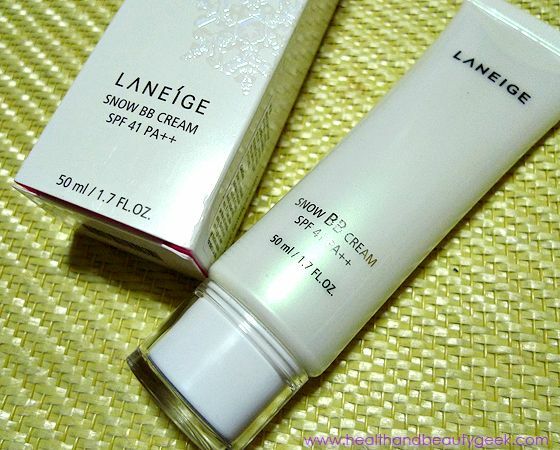 Laneige Snow BB Cream | Badudets Everything Nice! Part of my beauty haul in HK is this Laneige Snow BB Cream SPF 42/PA++ in #2 Natural. I always pass by the Laneige store which is just around the vicinity of our hotel and one night, the staff volunteered to test the BB cream on me. I’m not fair-skinned so I got hopeless in finding BB creams that will match my skin tone. So anyway, I was told that Laneige Snow BB Cream only has 2 shades: #1 Brightening and #2 Natural. The staff both tested the 2 shades and suggested that Natural looks best for my skin tone (as expected :p). I was easily convinced so I walked out of the store with a new BB cream. It is priced at HKD 260 (around Php 1,300++ when converted), I inquired at Laneige in Trinoma and it’s around Php 1,700. But with this blog’s latest make-over, I feel more inspired to write here. Thanks to Pat for my very girly blog design, love it to bits! Do you like it too?